How is it possible to identify crop types from space ? By using satellite data from different dates inside one growing period, it is possible to identify the different crop types, because the vegetation cover of each crop changes at different rates. In addition, the planting and harvesting dates are also different. 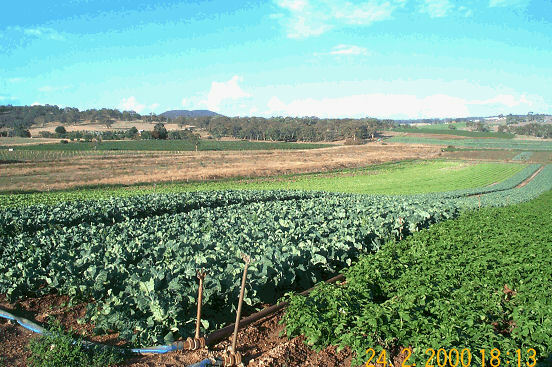 By observing the various kinds of crops, it is also possible to map the boundaries of the fields. 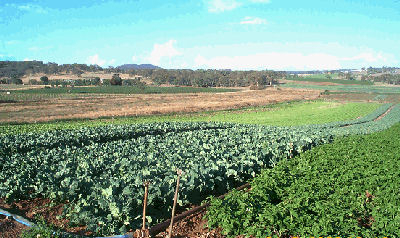 A field of cauliflowers, between two fields of lettuce and potatoes. Source: The Regional Institute Ltd, Sydney, Australia.